Hives began to vanish overnight across several counties three years ago. 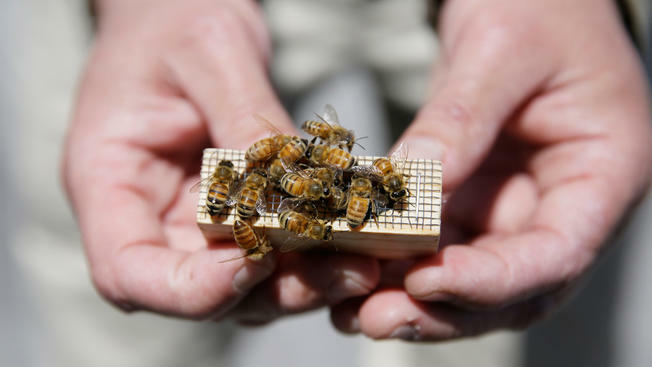 The bee industry is buzzing over the arrest of a man accused of stealing thousands of hives worth nearly $1 million from California’s almond orchards in one of the biggest such thefts on record. The case has thrown a spotlight on a business many city slickers probably never knew existed: Beekeepers in the U.S. move their colonies around the country by truck and rent them out to farmers to pollinate their flowering crops. In California, which relies on bees brought in from such places as Missouri, Montana and North Dakota to produce more almonds than any other place in the world, hives began to vanish overnight across several counties three years ago. 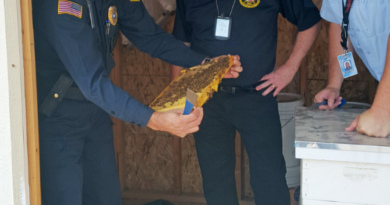 The break in the case came in late April, when a tip led authorities to a ramshackle “chop shop” of stolen beehives on a corner lot outside Fresno. 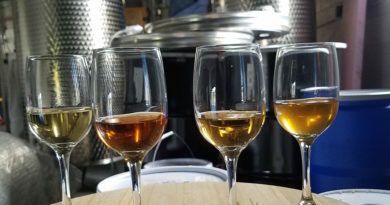 They arrested 51-year-old Pavel Tveretinov, a beekeeper-turned-criminal from suburban Sacramento, on suspicion of possessing stolen property, investigators said. The unexplained mass die-offs of bees in recent years and booming demand for almonds have helped drive up the value of hives. Almond growers rent hives for a few weeks when their trees blossom, allowing the bees to pollinate the flowers as they fly from tree to tree. The blossoms then turn into nuts. Investigators say Tveretinov, the prime suspect in the thefts, went to work at night, removing the hives when the bees are dormant. One of the biggest single thefts came in January, when more than 700 hives vanished from two orchards north of Sacramento. They were recovered in Fresno, more than 200 miles to the south. 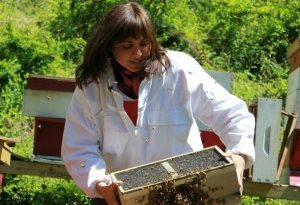 In total, Tveretinov is responsible for stealing 2,500 hives and equipment worth $875,000, investigators say. ← Bees Are Slowly Going Extinct. These Prisoners Are Trying To Stop That. Bees Are Slowly Going Extinct. These Prisoners Are Trying To Stop That.